I’m a lucky bloke this season I got a 2017 Starboard Kode Freewave 109 and Goya Custom Quad 106. I’m stuck working overseas for a few weeks just now so to occupy myself I’ve written this quick summary of how both boards work together for me in Perth local conditions. In summary - both are awesome boards that do exactly what they are designed for, so if you’re considering buying either… go for it! 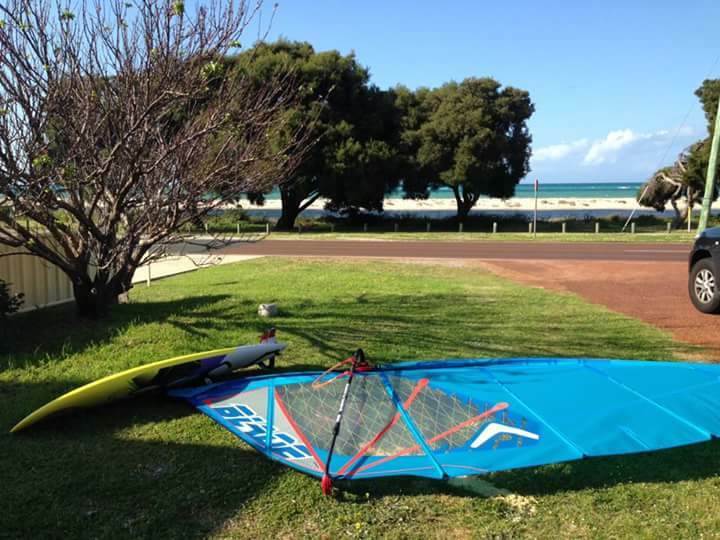 I’ve had the Goya Quad out with 4.7m to 6.2m sails mostly at Dutchies but also a couple of really good sessions at Quindalup in NW winds. It planes easily and cranks upwind. Fast for a wave board but controllable in chop. Easy to sail but limitless potential. Get it on any sort of wave face and it’s in its element with fast and precise bottom turns – incredible grip. Unfortunately I haven’t been able to get out of Perth much this season due to work but I’ve got 4 weeks off coming up and I'll be down south a fair bit so should get a few sessions in at Yallingup, where I find the larger wave boards work well for me (ie. compensate for my lack of skill!) in that wind shadow as you come off the shoulder. I have tried it as a twin and it does seem looser – good for smaller waves / onshore – and as long as it’s powered-up there’s not much loss of drive and upwind capability. I have found I tend to sail with a smaller sail with this board than I usually would, which is a good thing. I’m really impressed with how little compromise there is with this board. Only negative is the supplied MFC Red fins; they work well but sadly they disintegrate on contact with reef. I’ll be switching to my usual MUF fins now which I know are more robust. The Kode Freewave (Hybrid Carbon) is my Swan River board (as a single fin, outboard straps) and light wind ocean board (thruster, inboard straps). As a single fin it is really fast, lively and maneuverable. I’ve sailed it mainly with my 2017 6.5m Gator (awesome sail, btw), which is right in its zone. I also sailed it with an older 5.7m Blade which works very well and a recent 5.5m Blade which is also great. With the smaller sails, when it gets really powered-up then that 109 litre volume does show a bit, as you’d expect. I haven’t tried a smaller fin than the supplied 30cm though – I am certain that it’d be calmer with a smaller fin when the wind gets up. Paired-up with my 6.2m Blade and set-up as a thruster with straps inboard it is a brilliant ocean bump&jump board, great fun at carving-up swell and capable of playing a bit in waves. I haven’t had a chance to mess with fin positions yet so I’m sure I’ll be able to loosen it up a bit more. I have a 2011 Kode 103 which I got masses of use out of (now my sons board) – the Kodes are fabulous boards – so versatile, even more-so now with the thruster option. What I really like about them is they work with wave and cross-over sails, so I can have one quiver of sails for both ocean and river – simple life! Even for my 92kg weight, I used to consider both these boards to be pretty large in terms of volume, but things are changing. 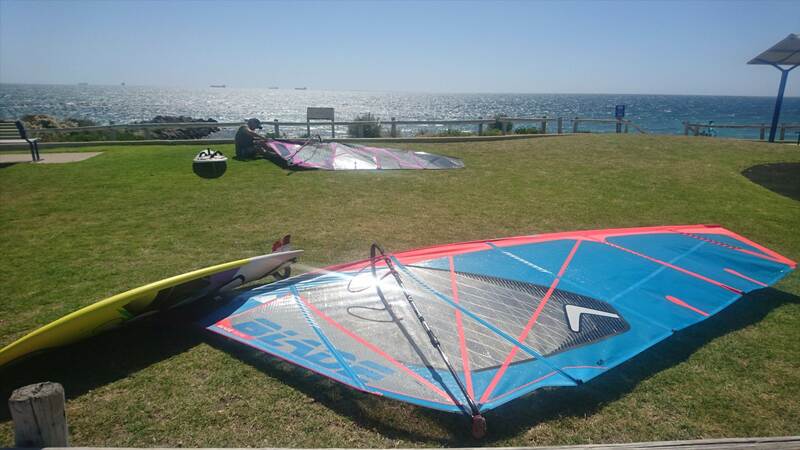 The Goya Quad 106 works best for me with 4.7m - 5.5m sails; it hides that 106 litre volume very well until you need it to help carry speed on a wave. The Kode 109 is also compact and works best for me with 6.0m to 6.5m sails. Apparently it’ll take up to 7.5m but my biggest sail is only 6.5m. Something I notice with both boards is that I have to plant my back foot really far back to get planing, compared to my previous boards. 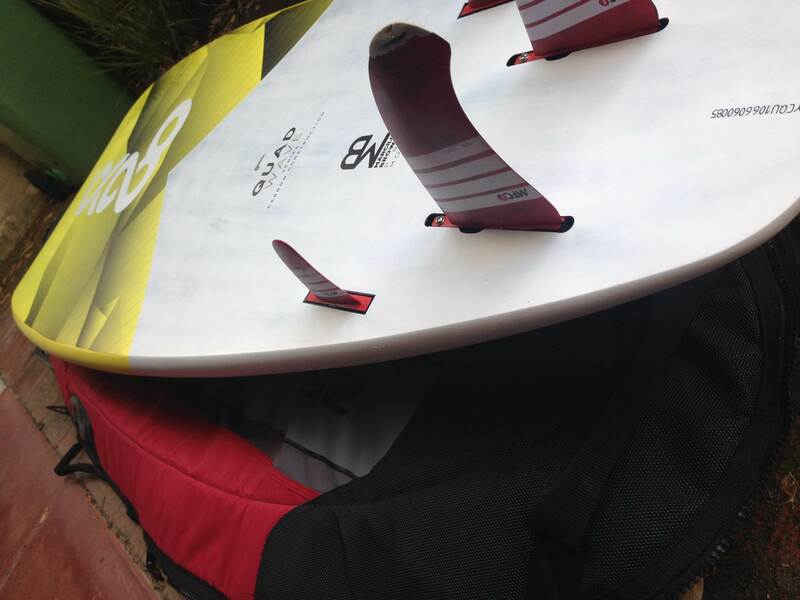 My high wind board is a 2012 Starboard Evo 86, which can be run in single or twin fin mode. So for the ocean I’ve got it well-covered – Kode for light wind with 6.2m sail (as long as waves aren’t too big), Quad for 4.7m - 6.2m and Evo for when it’s nuclear. For the river it’s a bit of a gap from the Kode 109 down to the Evo 86, one which I will have to plug at some point, although I do intend to mess around with the Goya in twin fin mode on the river (I have a pair of K4 Rockets to try out that may work well). 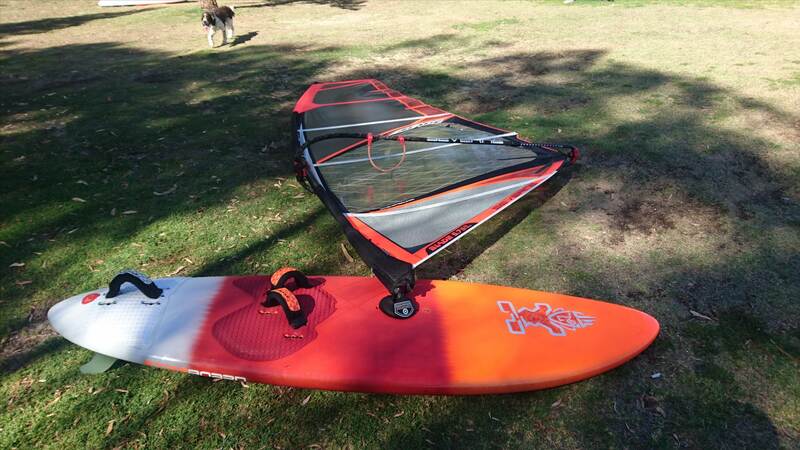 BTW, both boards local purchases - Windforce and Surf Sail Australia - fantastic shops. Great write up. I got an older model Kode 95 a few weeks ago to start going out in the ocean and some very basic wave sailing. I was thinking with outside front straps and 2 at the back it would also be good for blasting in chop with 6.6-6.2, only fear I have is the US box fin (28), would it be strong enough? Do you keep one single back strap when you move the front ones outside? Nice one - Kodes are perfect for getting out on the ocean. I prefer front straps inboard and single back strap for the sea. Actually I quite often also set the board up that way on the river if I want to mess around rather than just blast. But for sure double back straps and front straps outboard for regular blasting, choppy or smooth. Convention would be to go for double back straps if you have the front straps outboard, but really there's no rules and I have tried the single back strap / outboard front straps combo and it worked fine. US box safely takes up to 30cm fins and from what I can make out they are good for 32cm too. I have a 32cm US fin that I use in my Kode 109 (MUF x-wave). Some say even 34cm is good but you're pushing the limit then. In any case for your 95L Kode your 28cm fin should be plenty and certainly safe.